Recipes for healthy family-friendly side dishes. Roasted cauliflower is infinitely better than boiled cauliflower. It’s the only way my kids will eat it. 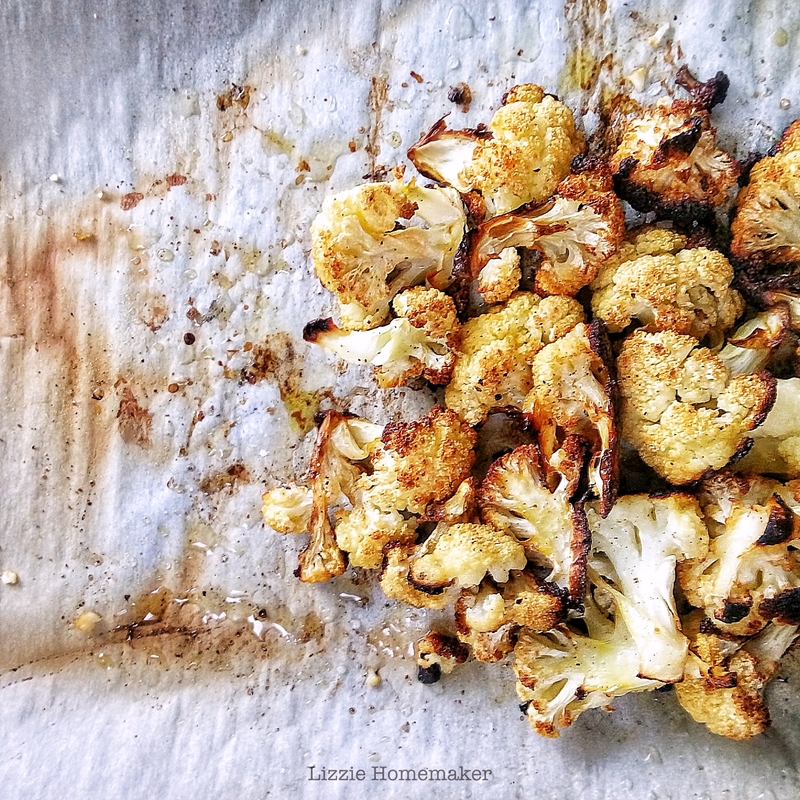 I love roasted cauliflower – and I hate boiled cauliflower. I think most people are with me on this. A friend recently told me that she has always wanted to try it but wasn’t sure how to make it. It’s dead easy. Roasting vegetables on the lower rack of the oven keeps the middle free for bulky main dishes. Add cauliflower to pan, drizzle with olive oil, add salt and pepper, toss to coat. Bake on lower rack for 30-45 minutes, tossing every 15 minutes, until golden brown and tender. Remove from oven and squeeze lemon on top if desired. These vegetable marrow fritters make a great lunch but we usually enjoy them as a vegetable side dish for dinner. Either way they satisfy. I recently discovered vegetable marrow. It’s very similar to zucchini but it’s a little less watery which makes it great for things like fritters so you don’t have to take the extra step of salting and draining the vegetable to get out the extra moisture. I am always short of time so I appreciate anything that cuts steps and makes my life a little easier. Pair these fritters with a green salad for a lovely light dinner. Drizzle olive oil in frying pan and cook leeks over moderate heat for 5 minutes. Allow to cool while you prep the rest of the ingredients. In a large bowl combine flour, baking powder, salt and pepper. In a small bowl whisk eggs and milk then add to flour mixture and combine. Add leeks, feta and vegetable marrow to flour and egg mixture and combine. Heat olive oil in frying pan over medium heat. Adding heaping 1/4 cups of fritter mixture to pan and flatten. Fry for 5-7 minutes flipping halfway through. Serve with dipping sauce (see recipe below), sour cream or applesauce. Fritters can be kept warm in oven. You can substitute veggie marrow with zucchini but you should salt it, let it sit, then drain off the excess water. Combine ingredients in a small bowl and serve alongside fritters.